Primarily for board trustees, investment committees, professional accountants and lawyers who want practical guidance on implementing a governance framework. This 1-day course focuses on the seven fiduciary precepts or legally required standards of care. 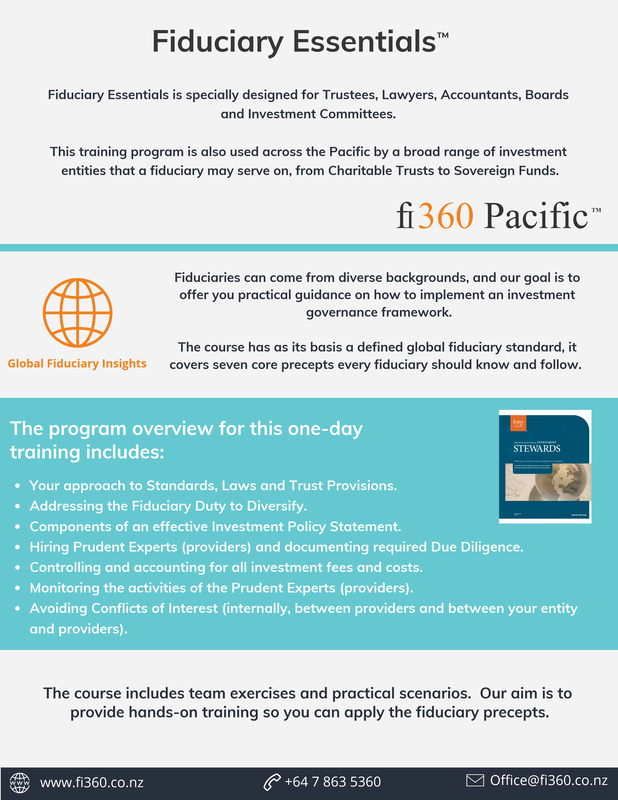 It provides a solid, base-level understanding of the history and fundamental requirements of the fiduciary standard. It consists of a series of learning modules and opportunities to work through scenarios designed to represent commonly encountered issues. Tailored programs for internal committees/boards or professional firm partners can include interactive discussion with attendees about their own portfolios and the challenges they face. Content is designed to be flexible in terms of either half day or full day options. It can be adapted to suit the intended audience. If you would like a registration form or more information please ﻿Click here.